March 9, 2016 by Ecommerce News. About Marketing with tags Germany. 4768 views. German startup Picalike has served more than 100 million relevant product recommendations based on visual similarity in just one month. The software solution searches and matches product pictures, so customers find what they are looking for. Online retailers Otto, Bonprix and Esprit are among the ecommerce companies using Picalike. Picalike shared the news of its milestone, thereby explaining that for the first time, the German company served more than 100 million relevant recommendation requests to its partners in online fashion and furniture in just one month. Its clients display visually similar items in their recommendations on-site and in newsletter. The similarity search is one of the services Picalike offers. It also has a recognizer, which offers a way to bridge the gap between print and online marketing. By taking pictures of, let’s say, catalogue pages, the customers will be directed to the desired product page of the online store. 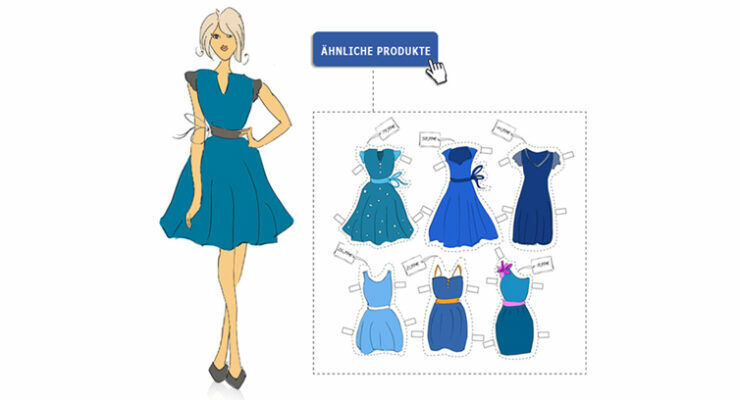 Four out of the top 15 online fashion retailers in Germany use Picalike’s technology to display more relevant product recommendations. According to the company, this service will enhance online stores’ conversion rates, achieve higher shopping cart values and lower drop-out rates. “This is accomplished by combining the information of the shop’s data feed with visual similarity analysis on the basis of product images and real-time click behavior of online shoppers”, the company explains. “Based on artificial intelligence and self-learning algorithms our software recognizes colors, shape and cut as well as patterns and textures”, founder and managing director Sebastian Kielmann adds. Picalike was founded in Germany in 2010. The software as a service solution is being used by ecommerce and mcommerce clients, product search engines and picture databases, but is also looking to offer its services in other sectors. Picalike has customers such as Otto, Bonprix, Esprit, Fashionhype, Shopping24, Baur and Weare. It has partnered with Intershop, ePages and Mobilemojo, with whom it implement several projects.